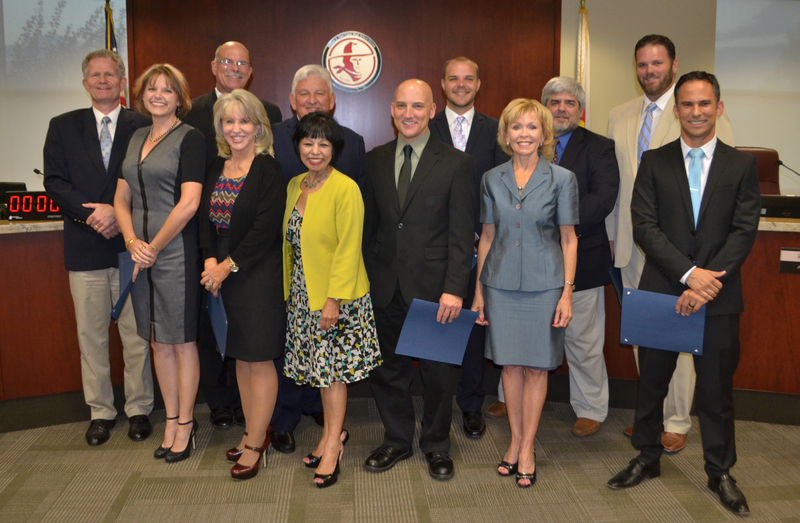 Sixteen of the best teachers in the William S. Hart Union High School District were recognized as Teachers of the Year by the Governing Board Wednesday. Selection criteria included personal growth, commitment, personal attributes and professional skills. The District Teacher of the Year is Julie Huffman, a chemistry teacher at Golden Valley High School. 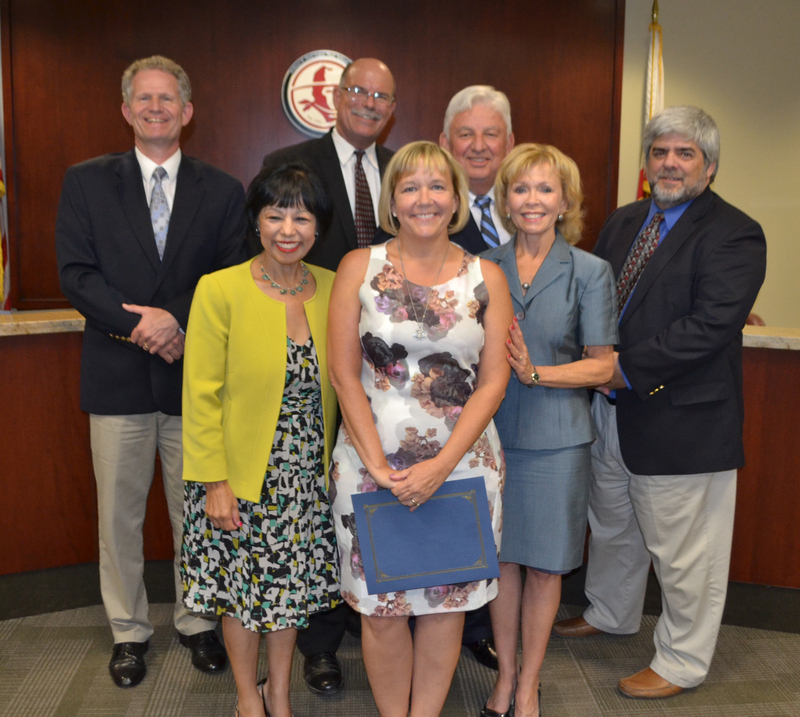 Julie is also one of 16 teachers being considered for Los Angeles County Teacher of the Year. 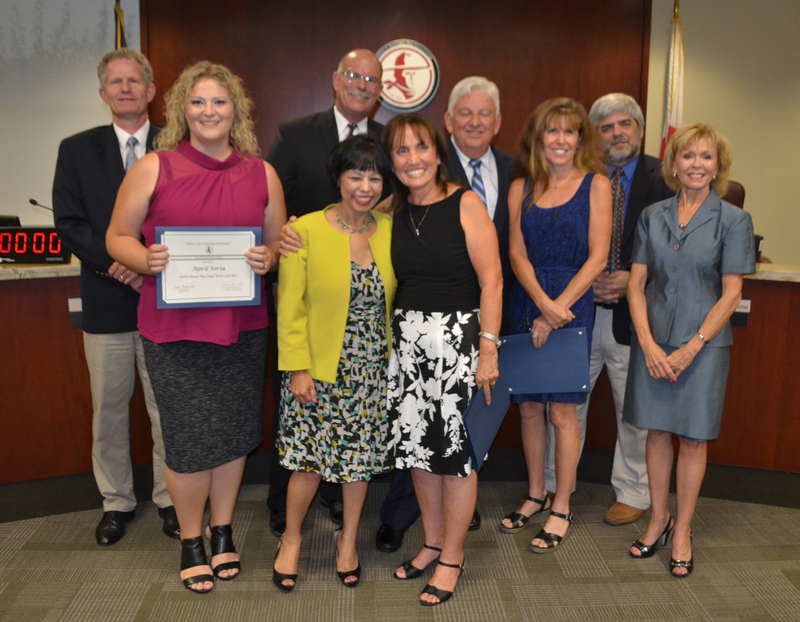 She was one of seven teachers in the Hart District chosen two years ago to help transition and implement the Next Generation Science Standards. The California Teacher of the Year program, which began in 1972, has brought recognition to exemplary teachers, paying tribute to their resolute efforts. 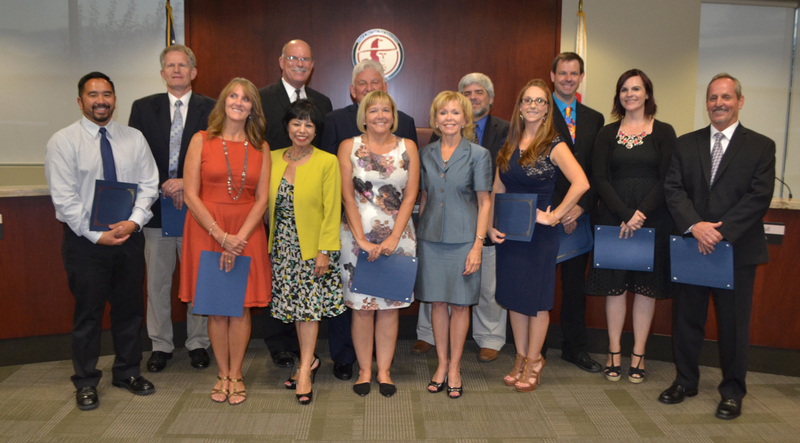 With the District’s many outstanding teachers, the staff takes pride in identifying and honoring its own heroes of Hart District classrooms. Ellen Perez, isn’t that Alexis on the right? After having quite a scandal, I am happy to see Coach Stiman standing tall up there. Way to go bud. Wat to go Paula! Congrats.